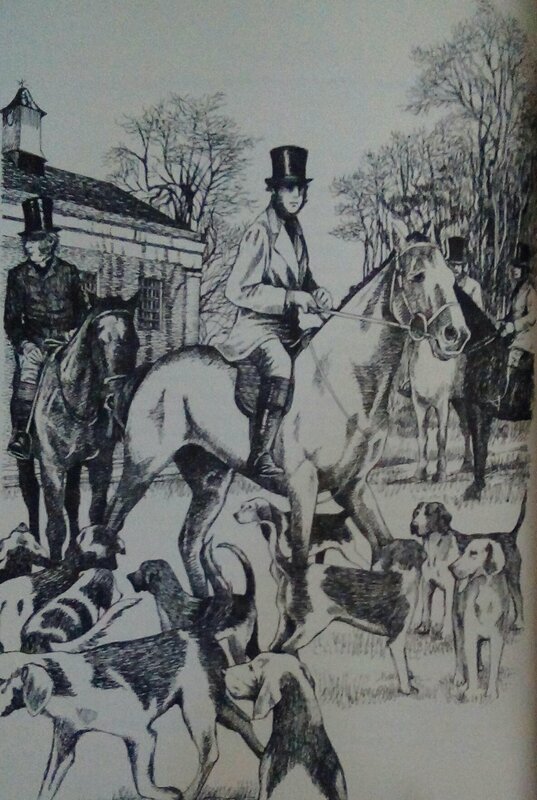 Uniquely amongst the Trollope Society’s edition, The Claverings features illustrations by a woman artist. Mary Ellen Edwards, who produced the illustrations for the serialisation of the novel in the Cornhill magazine in 1866 to 1867, was suggested to Trollope by his publisher Smith. She had already begun to establish a reputation as an illustrator through her work with Mrs Henry Wood in the magazine The Argosy and her work on The Claverings further enhanced her standing amongst the illustrators of periodicals at that time. Edwards, photographed above (on the left) with her sister Jessie, also on artist, was undoubtedly subject to prejudice; her work was frequently regarded as inferior to her male contemporaries. She was thought to excel at domestic scenes which were a less-highly regarded genre than those on which male artists might concentrate. 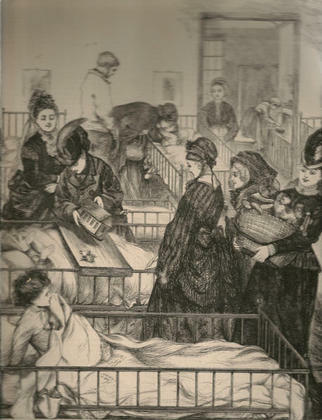 Her illustration for The Graphic, published in 1869, The Children’s Hospital, both confirms and confounds this pigeon-holing. The subject matter is essentially feminine – children – but the treatment is clearly documentary rather than sentimental in its approach. That said, following her second marriage, to children’s illustrator John Staples, she did begin to produce the type of mawkish (to 21st century eyes) images so favoured by the late-Victorians – witness Millais’s Bubbles, so the trait cannot be ascribed solely to her gender. The Folio Society edition of the novel was illustrated by Alexy Pendle – one of four non-series books for which she provided the illustrations, in addition to the six Barchester novels, making her the Folio Society’s most used artist. The contrasting styles of the two women reveal how each is able to convey effectively the emotions or inner-turmoil of the characters. 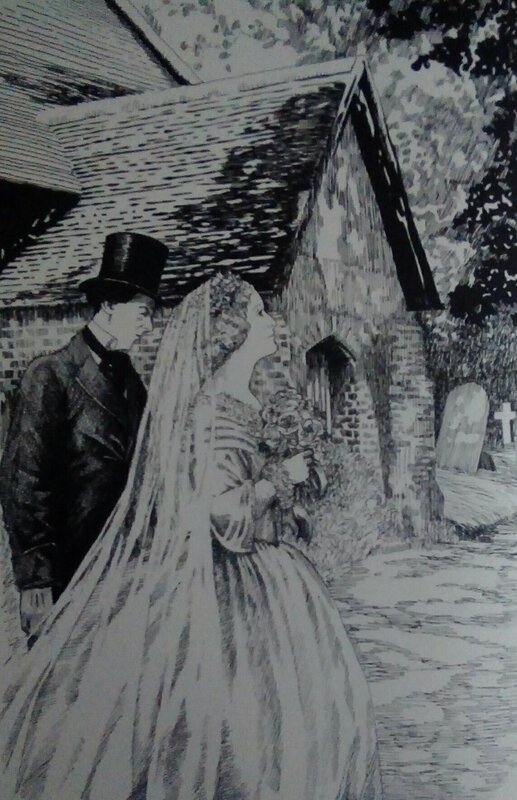 Both illustrated the wedding of Julia Brabazon to the significantly older Lord Ongar shortly after she has jilted Harry Clavering at the start of the novel. Edwards depicts the new Lady Ongar looking down, as befits a demure bride, but her expression, caught half in shadow, is one of distaste and she is looking away from her debauched husband, who leers at her with an evident sense of ownership. Pendle also depicts the bride looking away from her husband, gazing into the sunlit distance pensively, perhaps wondering what she has done. 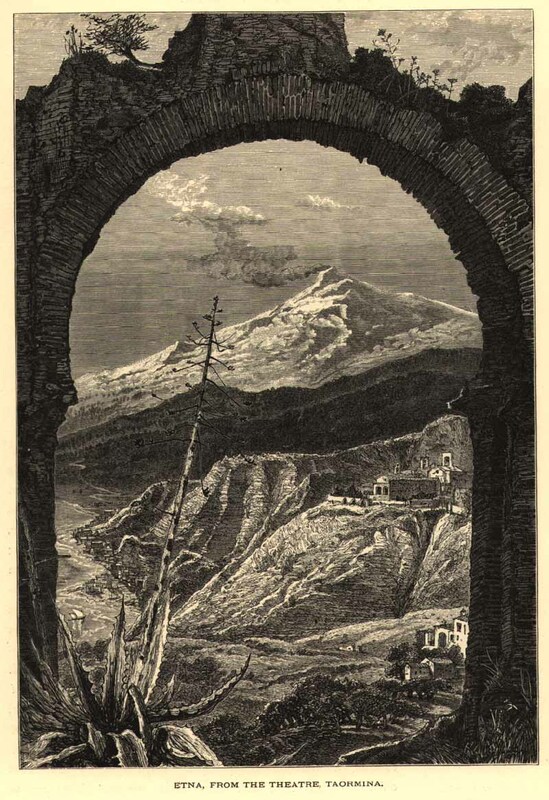 This pair of opening images in the two editions of the novel is one of five such instances where they illustrate the same scenes – a high proportion given each provided only 16 illustrations in total. Both depict the other unhappy marriage in the novel between Sir Hugh Clavering and Julia’s elder sister Hermione. They each depict the scene where Sir Hugh browbeats his wife in an argument and determines to abandon her while he pursues his masculine pleasures in spite of her pleading for him not to do so. By positioning Sir Hugh casually perched on the arm of the chair while his wife is seated in another looking up at him, Pendle conveys the inequality of their respective positions – he able to assert his authority without fear of contradiction, she reduced to the role of supplicant. Her expression reflects her fearful subservience. 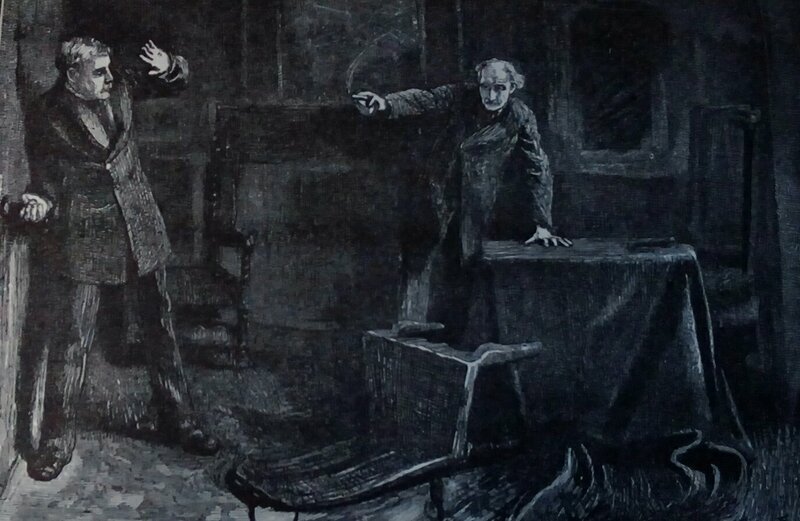 Edwards depicted the couple twice – not only in the identical scene to that illustrated by Pendle, but also at another moment, when Sir Hugh has just learned of the death of his son. Edwards shows the devastating impact this loss has on the man and how, in a moment of tenderness, his wife – who, it must be remembered, has just lost her child – offers him a tentative comforting touch. This remarkable handling of an emotional scene between the two parents, revealing a strength in the woman which the man lacks at this juncture, even while she recognises that this will be but an interlude before he returns to his bullying ways, is very subtle. It is perhaps for this very ability to reach the emotional inner-life of her subjects that Edwards was “typecast” by the critics’ biases. The third scene depicted by both artists is the return of the now widowed Lady Ongar to the estates which she has inherited from her husband. Their approach to this subject is markedly different. Edwards shows Julia as she visits one of the poorer tenants at Ongar Park. She is in her widow’s weeds and, once again, looks downward with an apparently pensive expression. She is perhaps reflecting on all that she has undergone at her husband’s hands and this is borne out by the caption “Was not the price in her hand?” She has made her Mephistophelean bargain and knows it. In contrast, Pendle chooses to depict Julia on the terrace of the great house looking out over her domain. She is pictured from behind so we cannot see her face – our view is that of the servant, waiting on her deferentially as she surveys the estate from her vantage point. It is a position of power and her stance indicates a determination to exercise that power. Only the very dark tones and deep shadows Pendle uses give an indication of the sombre heart of Julia’s sudden accession to this vast wealth. 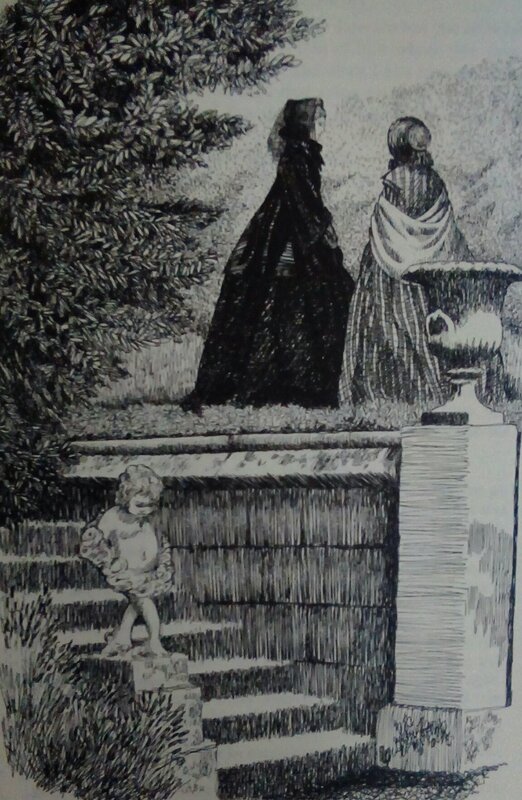 Pendle uses the devise of the character facing away from the reader/viewer in several other illustrations, including the depiction of the final scene where Julia and Florence meet at last, which is the last of the five scenes drawn by both artists. This technique, hiding the character’s face creates a sense of ambivalence – since we have none of the clues of facial expression to assist us in reading the character’s inner feelings. Pendle chooses to depict Florence in this way as she struggles with mixed emotions. She has won Harry in the end and Julia has lost him, but it must be hard for her to know in her heart of hearts that it was a close call. 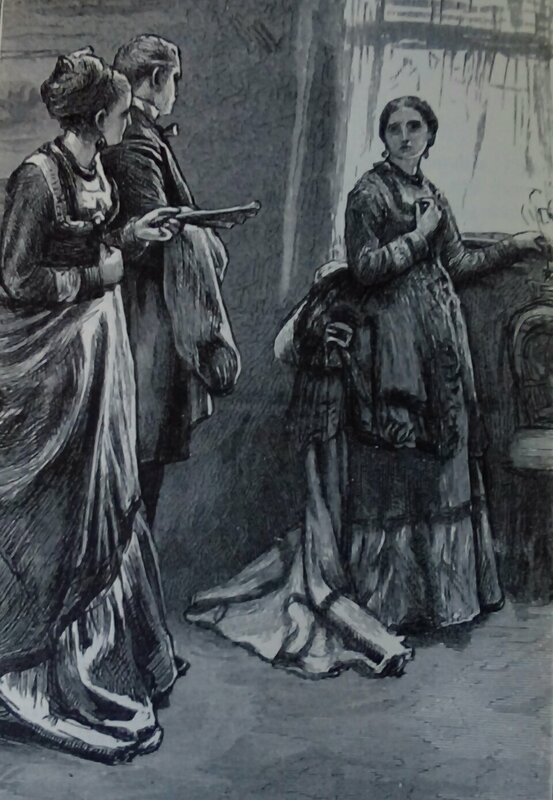 In depicting the same scene, Edwards, more conventionally, shows the two women close together, clasping each others’ hands in the emotion of the moment, rather than stiffly keeping their distance from one another as Pendle has them. 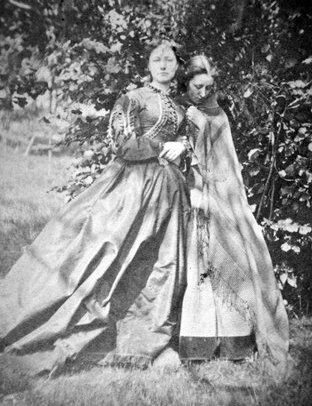 Indeed, Edwards depiction of the pair has many similarities with the stagey pose of herself and her sister walking in the garden captured in the photograph above. The relationship between Harry Clavering and Julia, Lady Ongar, is central to the plot of the novel. It is interesting, therefore that Edwards only shows them together once and Pendle twice. Edwards depicts Harry as an apparently immature and somewhat petulant-looking, young man. In this early scene, Julia leans in towards him while he is at repose. There is a greater sense of engagement in the relationship between them on the part of the woman in spite of the fact that she had earlier jilted him. She has more emotional investment in Harry than he, rather understandably, feels for her at this point. In contrast, Pendle exploits the greater freedom of the modern artist to present the couple in a passionate embrace, from later in the plot,showing how their feelings for each other have returned with a vengeance. Harry is depicted as more mature and his expression is masterful while Julia is evidently giving way to the sensuous feelings of the moment. The close up view of their faces, inches apart, dominates the image in a way that would not have been acceptable in a Victorian periodical. 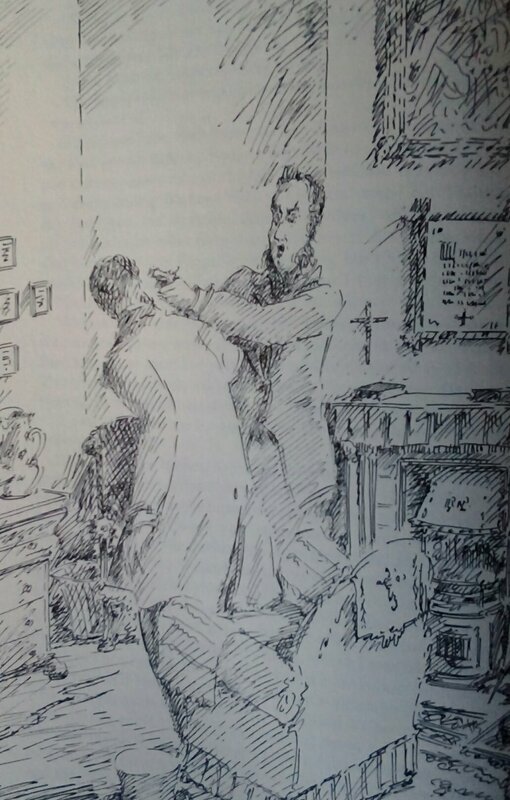 It is clear that both Edwards, providing illustrations for Victorian readers of the Cornhill magazine, and Pendle, for modern readers of the Folio edition, treat Julia as the key character in the novel. She appears in eight of the sixteen drawings by Edwards and five of the sixteen drawings by Pendle – more than any other character. Harry Clavering is the next most popular character, appearing five times in Edwards’s illustrations and three times in Pendle’s. 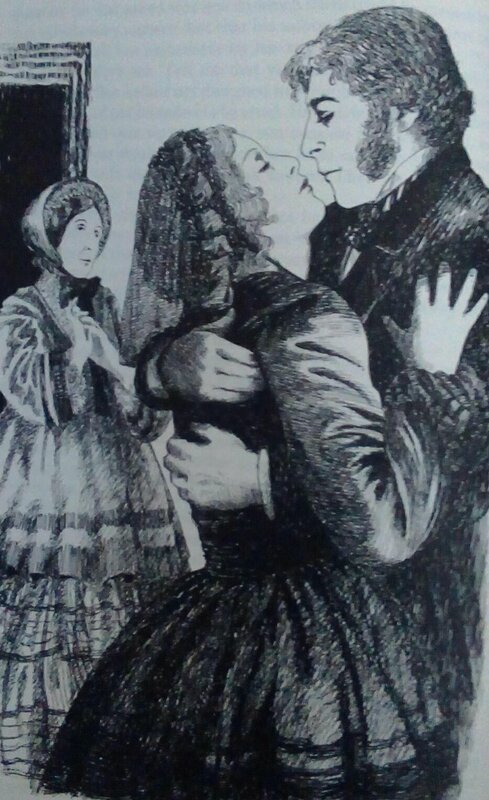 The third person in this love triangle, Florence Burton, appears three times in Edwards’s illustrations but four times in Pendle’s illustration. That she should feature more than Harry Clavering in the modern edition suggests that the emphasis on the relative importance of her character – the long-suffering, nice girl – has increased for audiences in the current era. Indeed, while Edwards,with only a single exception, always depicts one of the principal characters (the three mentioned above with the addition of Sir Hugh Clavering) in every one of her illustrations, Pendle feels free to focus attention elsewhere in six of the sixteen illustrations. 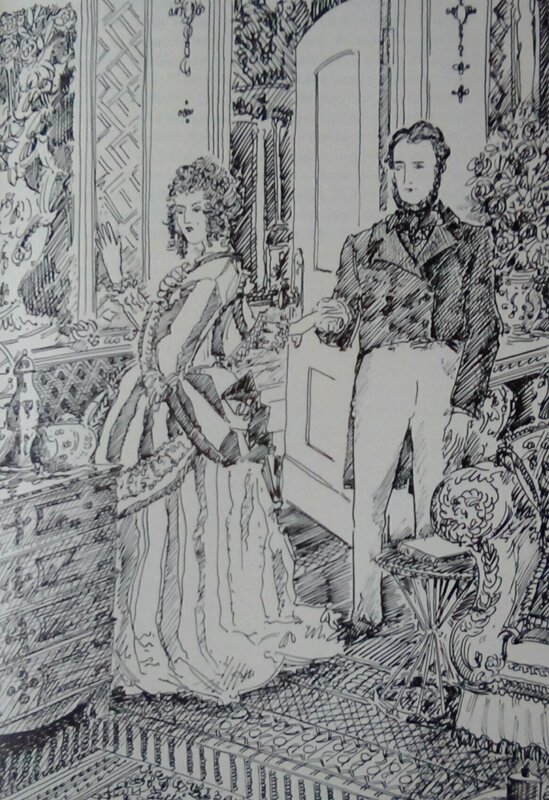 Although the novel lacks the multiple sub-plots of many of Trollope’s large scale works, there are a number of secondary characters whose impact on the main storyline is emphasised by allowing them to feature more prominently in the illustrations rather than making background appearances as they do in Edwards’s illustrations. Pendle therefore has illustrations which focus on Captain Boodle, Cecilia Burton, Theodore Burton and Reverend Edward Fielding. However, it is noticeable that the single example of Edwards depicting solely these secondary characters is the fifth of the scenes which appear in both editions. This is the moment when the poor curate, Mr Saul, makes his awkward proposal to Harry’s sister Fanny, while the couple are walking back together from a visit to aid the poor in the village. 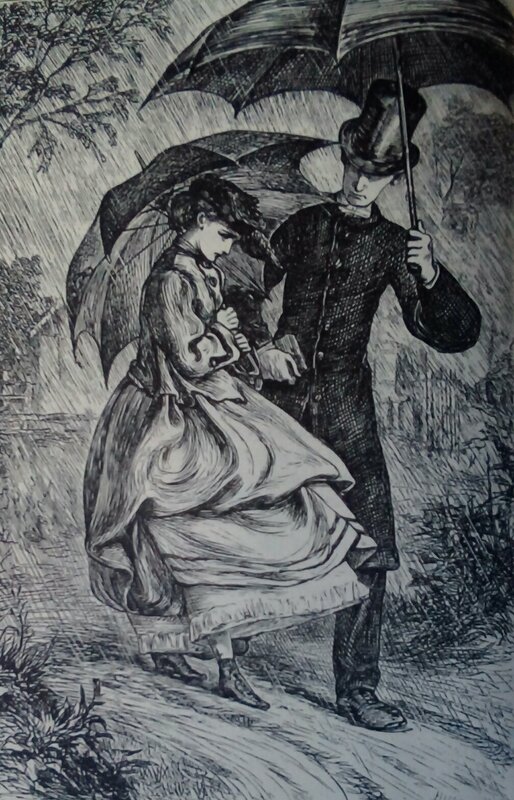 They are kept at a respectable distance from each other by their raised umbrellas in the middle of a symbolic downpour that emphasises the poor prospects of both the clergyman’s career and, in consequence therefore, his aspirations to the hand of a woman of higher social standing than himself. 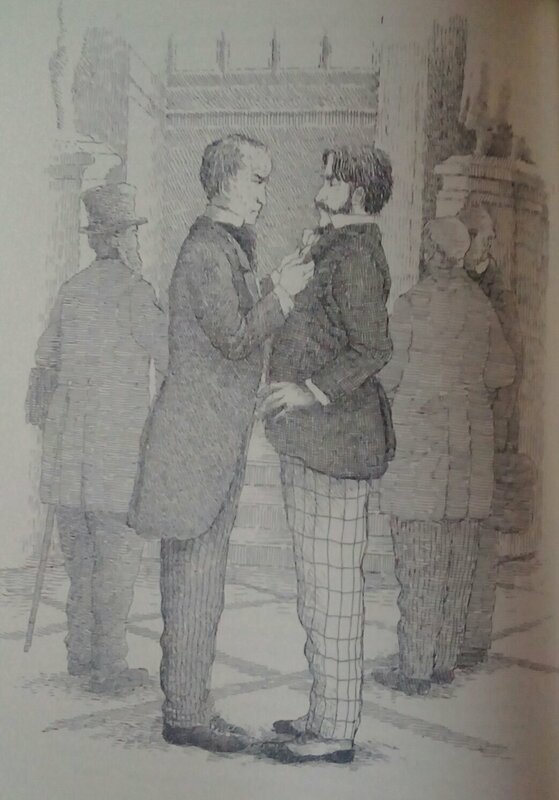 In addition to the Barchester series, Alexy Pendle provided illustrations for four othe Trollope novels in the Folio Society edition. As well as The Claverings, she also drew the illustrations for The Kellys and the O’Kellys, The Belton Estate and Mr Scarborough’s Family. I have no doubt that Trollope would have enjoyed the detailed hunting scenes she provided – the one in the Irish setting for Trollope’s second novel might have been of particular interest to the author as it was there that he first took up hunting, which became a lifelong passion for him and featured frequently in his novels, often as a plot device to move the romantic storylines along when the youngsters could evade the protective care of the chaperones who might otherwise interfere. Pendle also excelled at creating a domestic atmosphere with her attention to details. 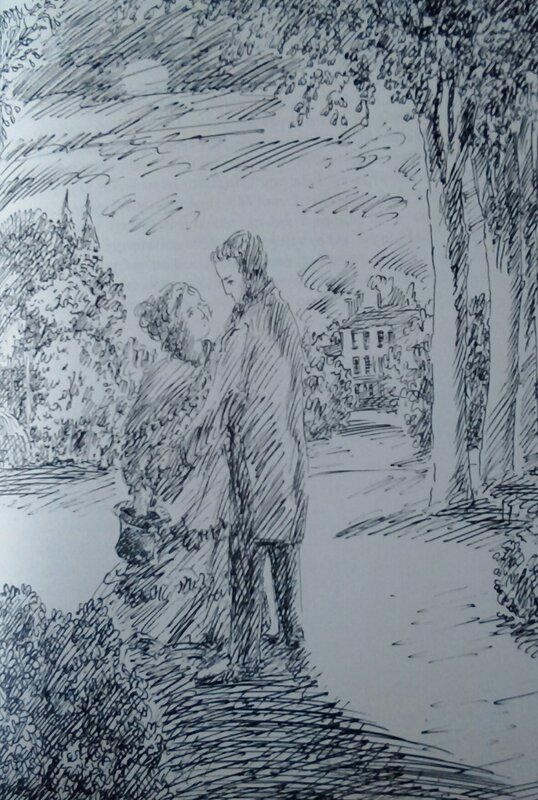 The illustration in Mr Scarborough’s Family of the moment when Dolly Grey arrives with assistance for her poor relatives the Carroll family only to find Mr Carroll, whom she had expected would have left by the time she arrived, is still at home. With his relaxed pose, hands behind his head and legs akimbo, he is acutely observed by the artist and his casual, masculine air is convincingly portrayed. Dolly’s pained expression on seeing him there speaks volumes. The Oscher LifeLong Learning Institute at American University is running a ten week course, Pivotal City and County Victorian Novels, at its Spring Valley Building in Washington D.C. The first session was March 6th, so unfortunately this information falls into the “better late than never” category. We turn now to Trollope’s early semi-autobiographical novel The Three Clerks. 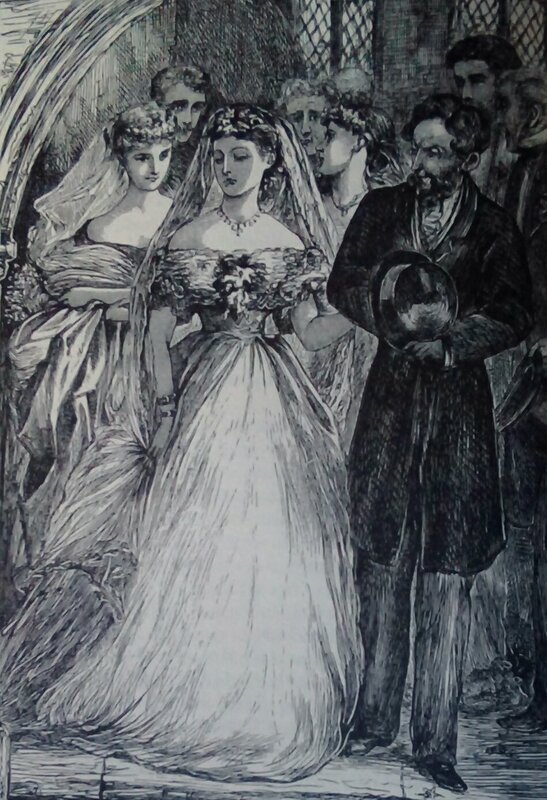 The Trollope Society edition is based on the 1878 edition published by Richard Bentley and contains only a single illustration, the frontispiece which is uncredited but, from the signature on the wood engraving, can be identified as by Josiah Wood Whymper. The scene featured is from late in the novel when Alaric Tudor, who has been led astray by excessive ambition to over-extend himself and is about to find himself facing criminal charges. He confronts Undecimus Scott, whose unscrupulous behaviour has brought him low, seizing him by the collar. 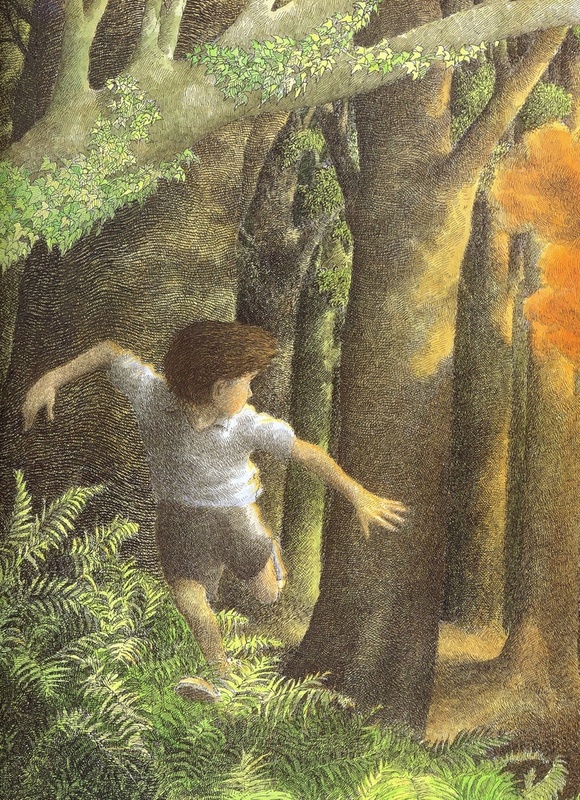 The same scene is also depicted by Patrick Benson in the Folio Society edition. The energy of Whymper’s illustration is marked compared with Benson’s. There is a vigour and strength about Alaric, evident in his expression and in the toppled hat of the other man which reflects his passion as he realises that this man has ruined him. The latter is evidently fearful of receiving a thrashing, grabbing his assailant’s arm. The two are captured in purposeful motion. In contrast, Benson’s Alaric simply looks cross and Undy Scott appears merely taken aback. Both stand flat-footed and stationary, facing each other. 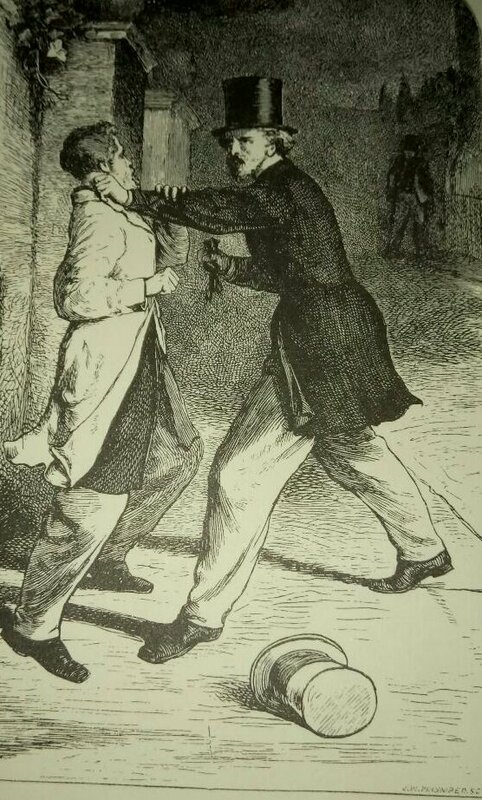 The image altogether lacks the sense of violence in the Victorian illustration. Whymper was by this stage in his career a well-known engraver and illustrator for a number of leading London publishers. He was well used to illustrating books of natural history, ornithology and exploration – he provided the illustrations for Dr Livingstone’s Narrative of an Expedition to the Zambesi in 1865. He was also noted for his watercolours such as this River Scene with Windmill, painted in 1875. 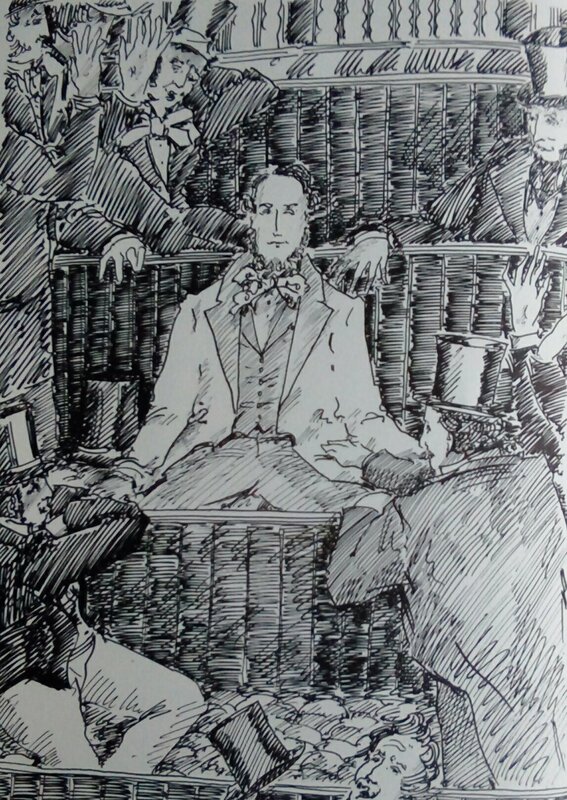 Patrick Benson’s sixteen illustrations for The Three Clerks include three key scenes from the novel which Trollope, in his Autobiography revealed were drawn from his own life. 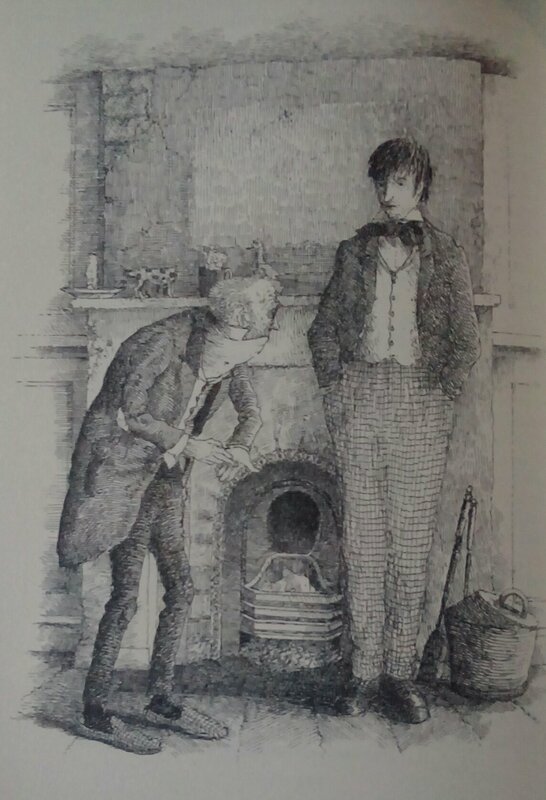 The character of the hapless Charley Tudor is based loosely on Trollope himself and Benson depicts the humiliating failure of his/Charley’s calligraphy examination which he underwent as a prelude to joining the civil service – Charley in the decidedly inferior Commissioners of Internal Navigation – the “Infernal Navvies” and Trollope in the Post Office. 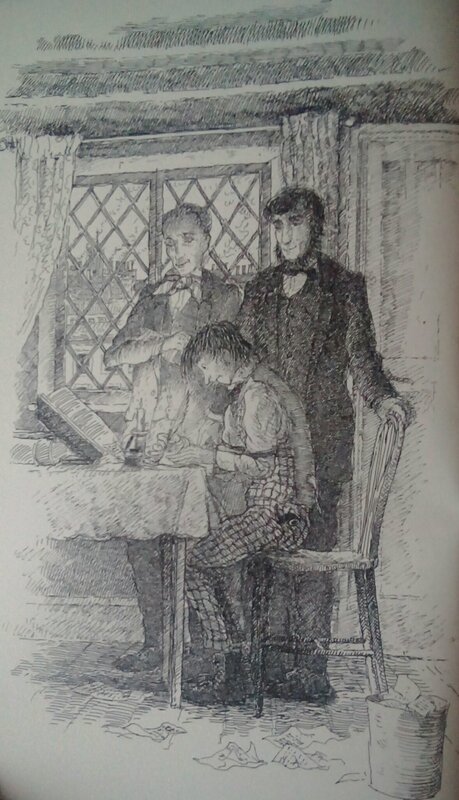 We see Charley, under the supervision of his cousin Alaric and his friend Henry Norman, make a second attempt at home which will be disregarded the following day when he is taken on in any event – just as was Trollope himself. Next we find Benson illustrating the incident when Charley, in debt, is advised by the money lender to “be punctual” with his payments – presumably of interest only, rather than repayment of the principal sum owing. Again Trollope relates in his Autobiography that this incident is taken from his own life as a young hobbledehoy. His experience with the moneylenders, the Victorian equivalent of the Credit Card, but without even the scant protection offered by modern legal constraints requiring publication of the representative Annual Percentage Rate (“APR”) we now know, featured not only in this novel but was also reworked in Phineas Finn, where the eponymous hero borrows money and, once in debt, is also told by the lender to “be punctual” – indeed this moment features in one of the Millais illustrations for that novel which appear in the Trollope Society edition. 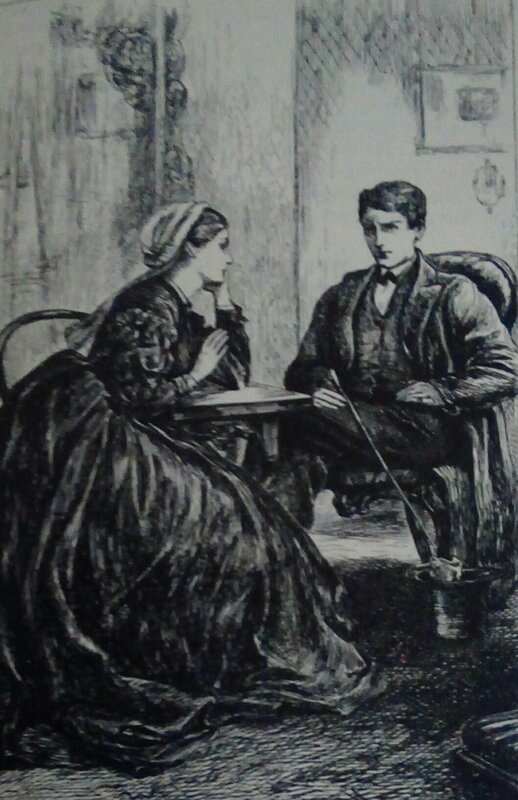 And to complete Charley’s humiliation, he is accosted by Mrs Davis in his office where she demands, “What are you a-going to do about that poor girl there?” His suffering mirrors that of Trollope who was similarly harangued in the presence of his colleagues by the mother of a young woman to whom he might, or might not, have proposed marriage. Certainly Benson manages to capture the naivety and bemused incompetence of Charley/Trollope in these illustrations. The reader is both amused by and appalled at the situations into which he has fallen and this is emphasised by the illustrator’s light, comic touch. 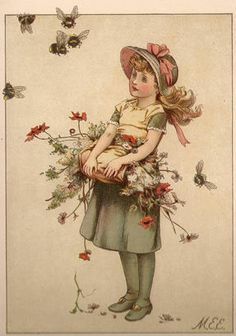 Benson was himself at this time a popular illustrator of children’s books. 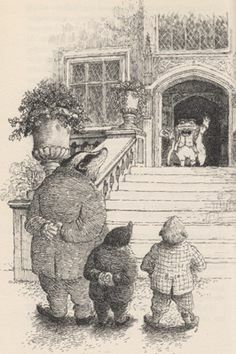 He adopted a very similar style to that employed in The Three Clerks for his work in the 1994 edition of Kenneth Grahame’s classic The Wind in the Willows re-published by Harper Collins. He also preferred to use pastel tones for his work in Roald Dahl’s final work The Minpins, published in 1991, in spite of the somewhat dark and sinister nature of the material which Dahl in this, as in many of his books for children, employed. Benson also provided the illustrations, again in a style very similar to that he employed in both The Three Clerks and The Wind in the Willows, for the 1991 Harper Collins publication Fly Fishing which is purported to be written by the fictional character J. R. Hartley, created for the Yellow Pages television advert some years previously, though it is actually written by Michael Russell. It is perhaps Trollopian to note that both Russell and Benson are in truth keen fly fishermen and called upon their own experiences to write and illustrate the book. I am sure Trollope would have appreciated the joke. The Trollope Society has sold off a proportion of its antiquarian stock to G David, Bookseller of St Edward’s Passage, Cambridge. These items should be on the shelves from this weekend. The collection contains several early editions, books about Trollope and early editions of the works of Fanny Trollope and Thomas Adolphus Trollope. Some are in good condition and others in a very poor condition which will need some repair. This will be reflected in the price so bargains are a possibility. We return to the “Palliser” series now and consider the two novels which form the core of the politics in that group of novels: Phineas Finn and Phineas Redux. 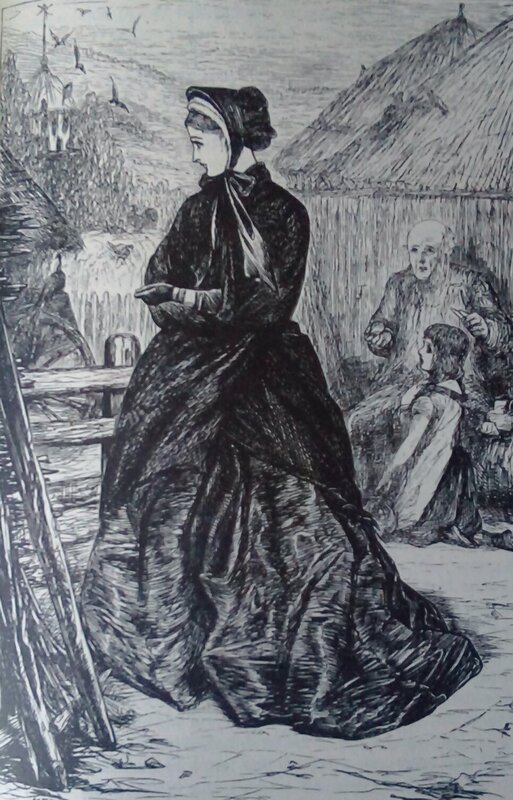 The first of these in the Trollope Society edition includes 20 illustrations by Millais from the first edition – it was published in serial form in St Paul’s Magazine in 1867-69 and in book form immediately thereafter by Virtue and Co. 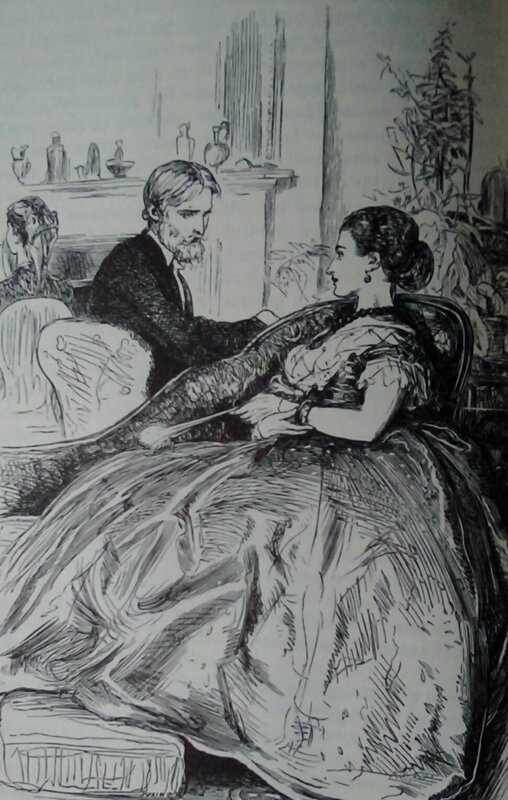 The Trollope Society edition of the second novel includes 24 illustrations by Francis Montague Holl taken from the 1874 Routledge edition rather than the first edition. The Folio Society editions of both novels each include 20 illustrations by Llewellyn Thomas. We therefore have the opportunity not only to compare and contrast Victorian and modern takes on the novels’ scenes and characters but also two different illustrators from the time the novels were originally published. Hindsight is a wonderful thing and it is evident when considering the subjects chosen by Millais in Phineas Finn, working contemporaneously with the publication of the novels, and Llewellyn Thomas, working some 120 years later with the benefit of knowledge of events described at the opening of the second novel. Millais featured Mary Flood Jones in five of his twenty illustrations, including depictions of her with Phineas which top and tail the book as the first and final illustrations; Thomas does not include a single illustration of the woman whom Phineas marries at the end of the novel on his return to Ireland. 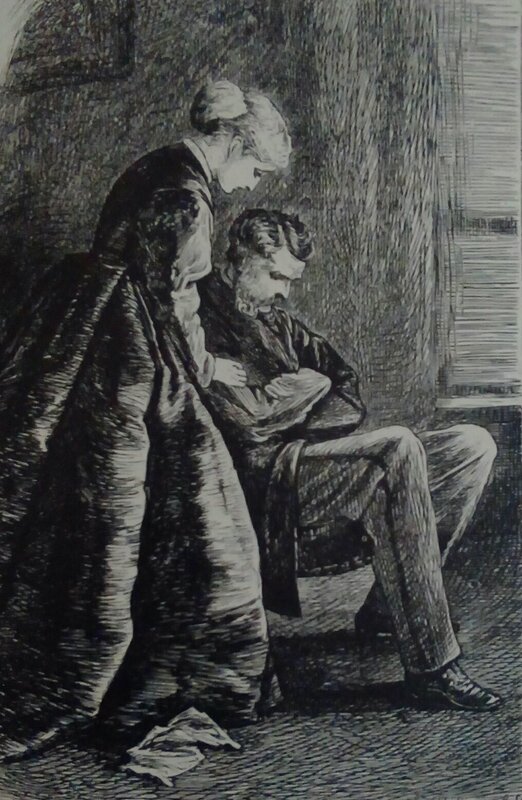 Thomas’s decision to relegate Mary to the role of minor secondary character no doubt reflects the knowledge, not available to Millais when illustrating the book, that she will die as a result of pregnancy complications between the end of that novel and the start of the sequel, thereby enabling the eponymous hero to return to the fray in Westminster. Indeed, the relative importance of the four principal love interests which distract Phineas from the serious business of pqolitics throughout the novel by counting the number of illustrations in which they appear. The clear winner in this respect for both Millais and Thomas is Lady Laura Standish, who enters into a loveless marriage with Mr Kennedy, in spite of being infatuated with Phineas, for what must be ascribed as purely political motives. Millais depicts Lady Laura eight times, four of which (including two alone with Phineas) are before her marriage. Thomas depicts Lady Laura five times (i.e. 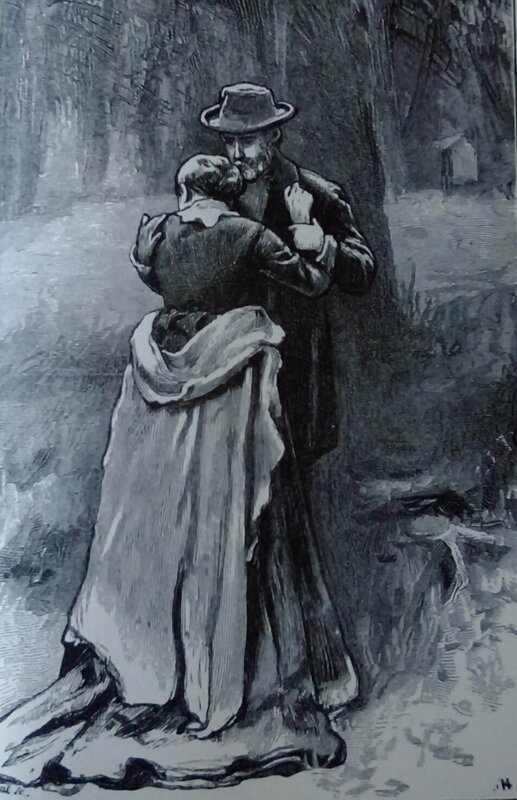 in nearly one third of all his illustrations) including one with Phineas which is also the subject of one of Millais’s illustrations – the moment when Phineas while walking with her at Mr Kennedy’s highland estate attempts to propose to her only to discover that she has just engaged herself to Mr Kennedy. 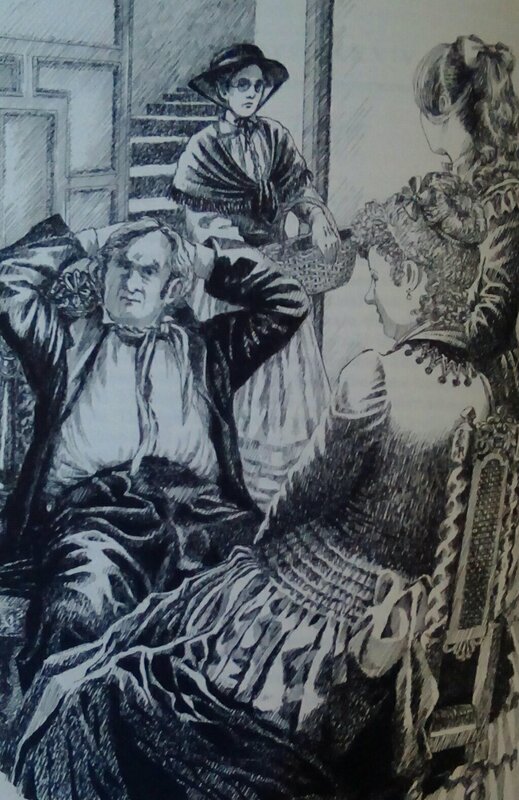 Thomas lays out the scene almost identically to the Millais illustration with Phineas, in highland garb, to the left and Lady Laura to the right, facing him. Millais also depicts Phineas’s second love interest, Violet Effingham, four times – only half the number of appearances of Lady Laura, and all of these occur in the earlier parts of the book, before she marries Lord Chiltern. Thomas, similarly regards her as of lesser interest, featuring her in only one illustration. Millais pays least attention to Madame Max Goesler of all Phineas’s admirers. She is only depicted twice and in both she is not with Phineas but with the old Duke of Omnium, who is infatuated with her. 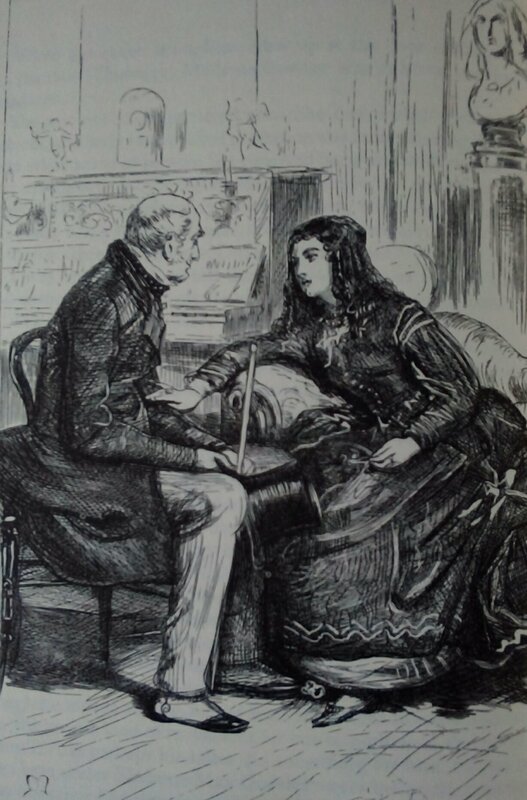 I have to confess to finding Millais’s depiction of her less than alluring when engaged in intimate conversation with the Duke, stopping always just short of indiscreet behaviour because she has a certain, strict moral code, which allows her to flirt with the old man but take it no further, whatever society may be thinking she is doing. It is interesting to compare this with the, to my eyes, more sensual depiction of Phineas and Lady Laura deep in conversation and similarly engrossed in each others’ company. Thomas does not depict this scene but shows the ill-matched pair out of doors with Madame Max facing away from the viewer with the scene which she is observing alongside the Duke taking up the bulk of the illustration. 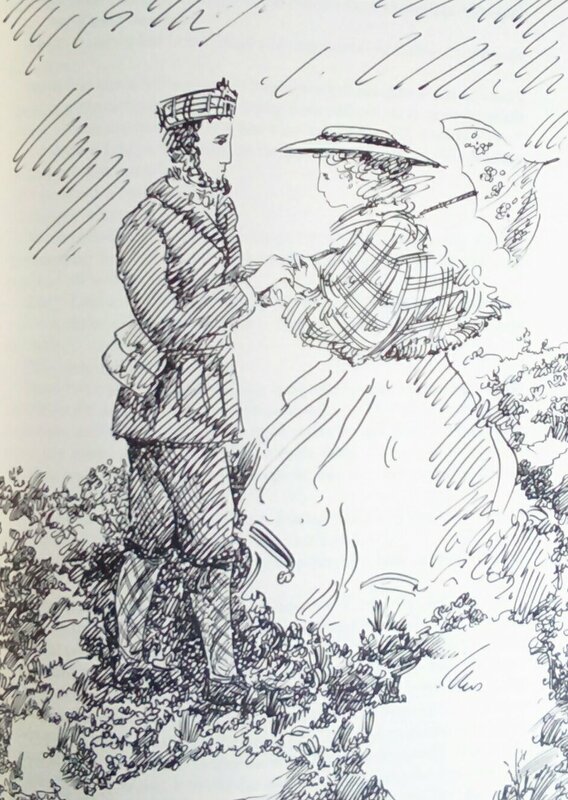 He also follows this approach in the first of the two illustrations of Madame Max with Phineas – they are sidelined and face away into the main scene depicted – before finally depicting her “facing the camera” in the last illustration of the novel – thereby benefiting from 120 year’s hindsight to contrast his own final image for Phineas Finn, showing him with the woman who will become his second wife at the end of the next novel, with Millais’s depiction of Finn with his first wife whom he marries at the conclusion of the first book. It is interesting to note that the overwhelming majority of Millais’s illustrations are portrait, rather than landscape, making them more readily suited to book format than for the column layout adopted by many magazines published at the time. Millais also invariably depicts the characters full length thereby maintaining a slightly distancing, observer role for the reader when looking at the pictures. Llewellyn Thomas has followed this convention creating a more measured impression that is softened somewhat by his looser, free-flowing style of drawing, which depends for its effect more on the creation of an overall impression than reliance on details as some of the modern illustrators commissioned by the Folio Society, such as Alexy Pendle who drew the illustrations for the Barchester novels, have done. This gives the Palliser series in the Folio edition a consistency of style but at the expense of variety or light and shade in the depictions of the characters. 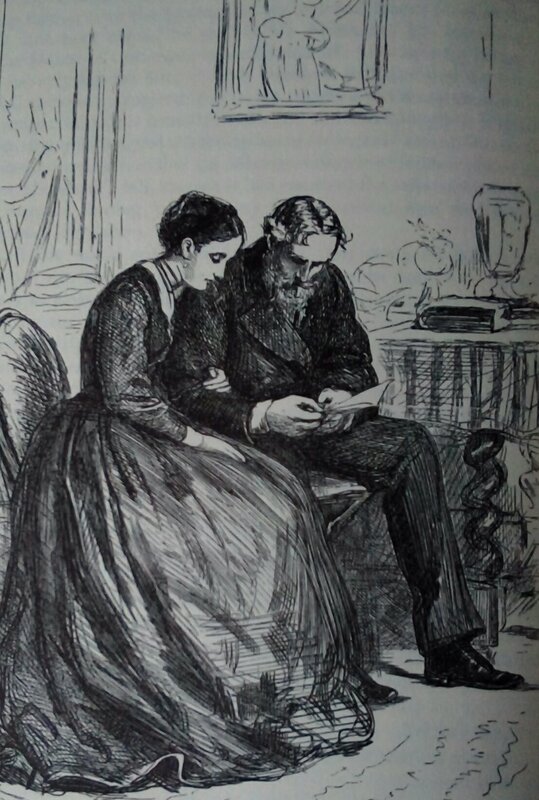 We can now turn to Phineas Redux which in the Trollope Society edition is illustrated by Francis Montague Holl who was engaged in 1869 by William Luson Thomas to work on his new illustrated newspaper The Graphic. Holl’s 24 illustrations for the novel were reproduced in the Routledge edition, published in 1874, from the original plate engravings. Holl was noted for his sombre style in paintings such as No Tidings From The Sea, depicting the family of a fisherman waiting for news after his boat has failed to return, and The Village Funeral. This darker style is carried through into the engravings Holl used to illustrate Phineas Redux. His technique creates a dark background with pictures emerging from the shadows which contrasts markedly with light backgrounds which typify Millais’s illustrations – and, for that matter, those of Llewellyn Thomas. This is put to good effect in the dramatic scene in which Phineas is confronted by Mr Kennedy when he visits him at his rooms. The ill-lit interior may be an accurate reflection of a typical, poorly lit Victorian room, but it also gives a figurative insight into the despair and madness of Kennedy. In contrast, Thomas’s image of the same scene – one of only three which are depicted in both editions, conveys the sense of Kennedy’s incoherence through the wild expression on his face, the melodramatic posture of the man and implicitly through the loose freehand cross-hatching used to create the light and shade in the image. The second duplicated image is the depiction of another pivotal scene in which Madame Max is with the elderly Duke of Omnium when he attempts to propose to her and she carefully sidesteps the offer of marriage without giving offence to the old man. This is one of six appearance she makes in Holl’s illustrations and four in Thomas’s, both artists rightly reflecting her increased importance in this second novel with more frequent depictions. However, Holl chooses to depict her alone twice as she struggles to master her feelings for Phineas, which she believes are unrequited, and does not picture her with Phineas until they are finally brought together after she has successfully brought about his release from prison. Here he creates a tranquil expression on her face which is more appealing, to my mind, than Millais achieved when depicting her at her supposedly most alluring when behaving coquettishly with the old Duke in the earlier novel. Holl, with his 24 illustrations, has scope for greater variety in subject matter than Thomas with his sixteen. Holl uses this to explore the subplot of Adelaide Palliser’s romance with Gerard Maule and to twice depict Lizzie Eustace, who is a relatively minor character in the novel, albeit one who would be very familiar to readers as the principal anti-heroine of The Eustace Diamonds, the intervening novel between the two books featuring Phineas Finn in the middle of the “Palliser” series. Holl was also able to balance the framing of his illustrations using nine landscape views and fifteen portraits to give broader perspectives where he wished. Presumably this was made possible through publication across two newspaper columns. This is put to good effect when depicting Phineas in his cell during the trial. 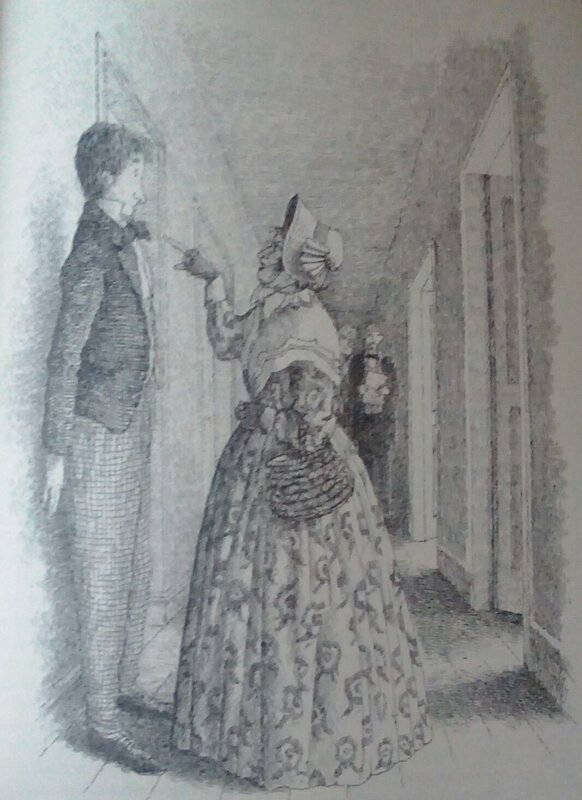 Here the atmosphere of gloom, both literally in the room itself and metaphorically in Phineas’s despair, is conveyed through the dark shadows in which Lady Laura, his visitor, is almost obscured, much as Phineas was in the first illustration of the novel when he visits Lady Chiltern. 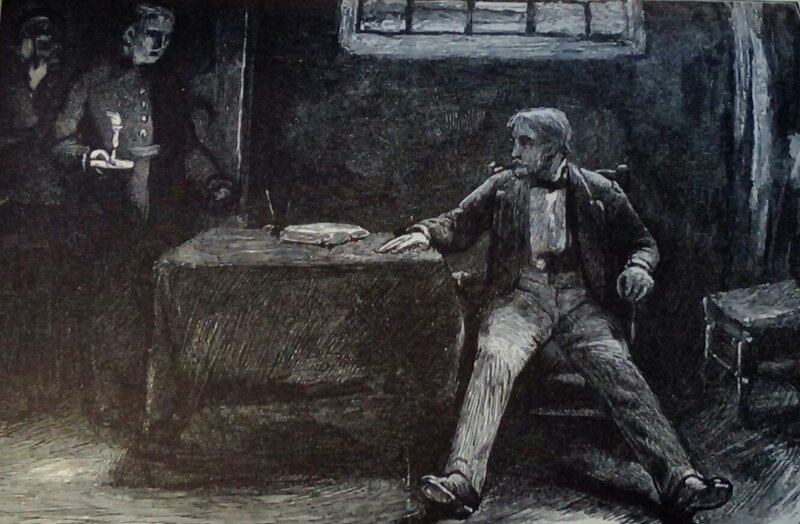 At the outset of the novel, Phineas has been depicted by Holl as an older, more careworn man than Millais portrayed. Gone is the luxuriant beard, upright carriage and clear brow to be replaced by a thinner, almost drawn face, a middle-aged stoop and a frown. Evidently Holl is depicting a man who is still grieving for his lost wife and child. Indeed, in early pictures Phineas is invariably seen in shadow or even facing the wall with his face hidden from the reader to emphasise his psychological state. Now, we find him bearded but dishevelled in prison, reflecting further developments in his character which are less clearly defined in Thomas’s depictions of Phineas, whose countenance, including his featured beard, show comparatively little change through the different passages of the book in the Folio edition. Both the Trollope Society and the Folio Society editions end with illustrations of the final, tragic meeting between Lady Laura and Phineas. The contrast in approach is marked. Thomas, with his lighter, airy style, does not convey to me the sense of finality in the embrace of the two former lovers. I am not sure that Lady Laura’s upturned face and Phineas’s benign look express the moment appropriately and may be mistaken for a pleasant tryst in an ongoing courtship.Holl, on the other hand, shows Lady Laura clinging to Phineas, her face hidden against his chest, in an attitude which conveys how great is her loss as she realises and faces up to the knowledge that through her actions, recounted across the two novels, she has lost the man whom she has loved throughout. He too looks like a man who has endured. The gloom of the woodland setting reflects the pain they both feel.